This book has been on my TBR for ages. I got it sometime last year in a PageHabit mystery book box, but I wouldn’t classify it as mystery. There’s no mystery as to what’s going on. I consider this a quiet horror book, where you’re not exactly horrified but it’s so subtle and almost normal that you’re freaked out by it. And, even better, this is domestic horror. This is a sister trapped in the house by her brother and her self-doubt. Marion is an overweight woman who hasn’t quite outgrown her childhood. She’s very childish and I kept having to remind myself that she’s over fifty. Then, there’s her older brother, John. He’s terrifying in such a subdued way for the most part. He’s a classic abuser, mainly using his words and playing on her self-doubt that has been there since childhood. The book is told in flashbacks to moments in the past that define Marion as a person and the present, where she’s stuck living there and can’t leave because she doesn’t see herself as able to. Then, there’s the visitors. That are hinted at the whole book and, honestly, I wish it had been more of a surprise. It was handled well and I loved how it was told from Marion’s perspective, with her just trying to ignore what’s going on and doing a pretty damn good job. The book is a great book. The characters are all interesting, the writing is good, and I kept wanting to find out where this was going while I was reading. It’s an excellent debut. But, I wish there had been more tension. I figured things out very early on, so I was more reading to see the beginning of things and how it was going to be revealed. Then, I wasn’t a huge fan of where it went. Maybe I wanted more from it, but it was all very in-character and when I look back at it, I couldn’t see it going any other way. The ending was a bit lackluster, even if it gave me some chills. 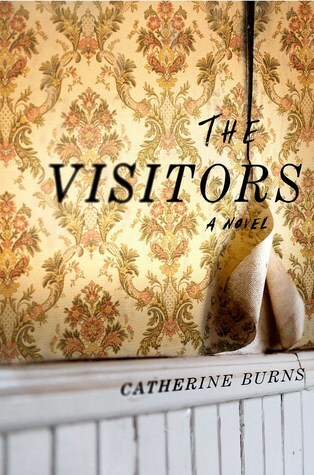 It’s still an excellent book if you’re looking for a slow-burn horror that doesn’t have a whole lot of scares. I’d say it’s more of a study of how things can go wrong in a family if no one does anything. What’s your favorite slow-burn horror/thriller?